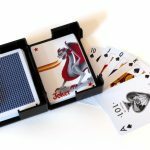 Protect your playing cards with the Card Caddy™, the only playing card deck box that converts into a discard tray. Take your game on the road, to the great outdoors—wherever life takes you. Stack your deck anywhere, any time. 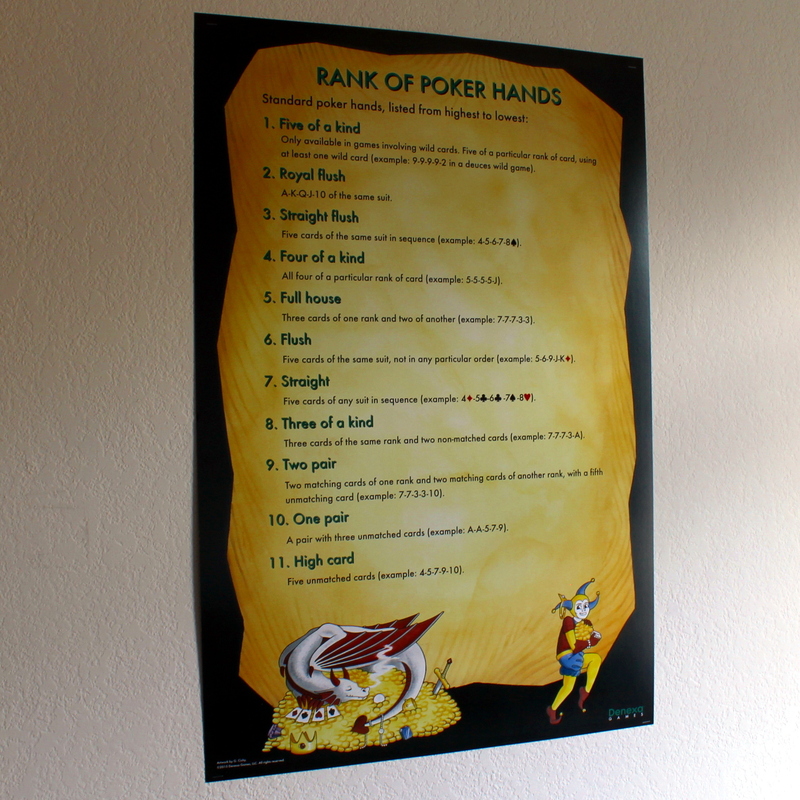 Provides durable protection to a standard deck of poker-size (63 × 88 mm) playing cards. Snaps shut securely to ensure contents don’t spill out in transit. 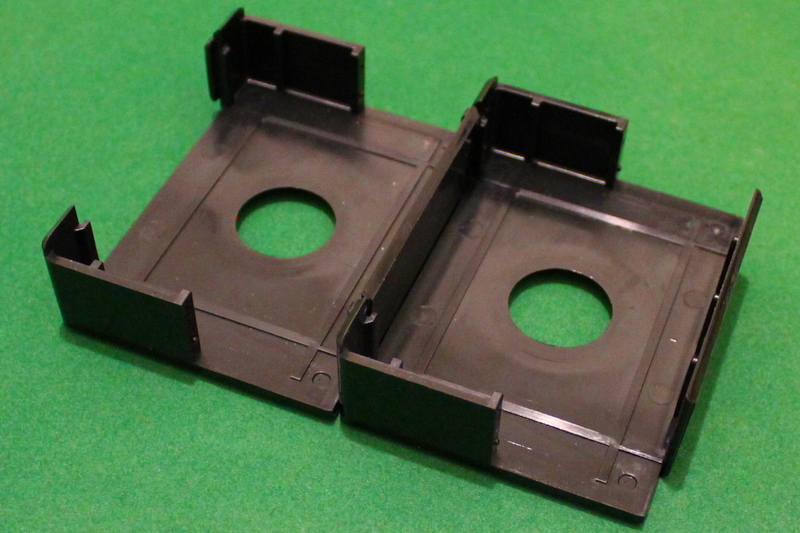 Top cover attaches to bottom to form a two-bay stock/discard tray. Discard tray features side cutout to allow discard pile to be fanned out. 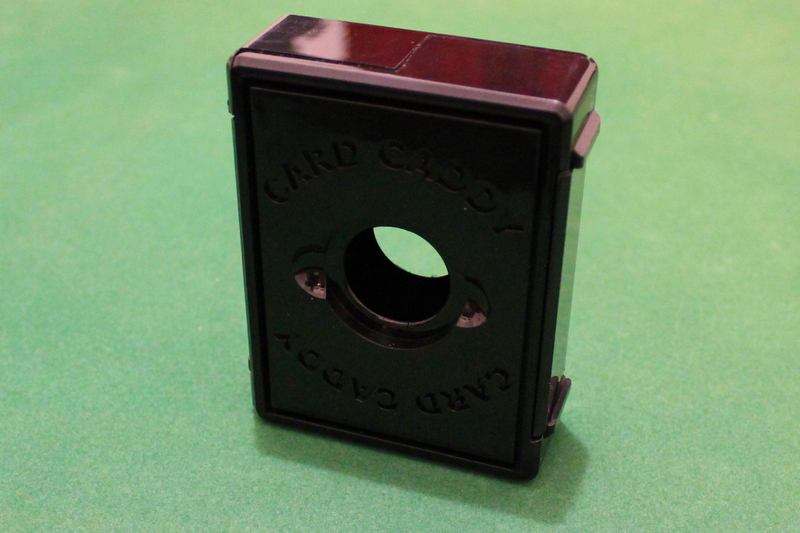 Round hole allows cards inside to be easily viewed when closed and allows easy deck removal when open. Playing cards not included. For a Card Caddy shipped with our 100% plastic playing cards inside, see our Adventurer’s Pack. Black gloss plastic. Measures 4 × 3 × 1″ (10.1 × 7.6 × 2.5 cm) when closed. Card Caddy is a trademark of Narrows Hill, LLC.